In the Mystic range, we have some special flavours for you, and if you are a coke fan, we can serve you the most luscious Cola juice. 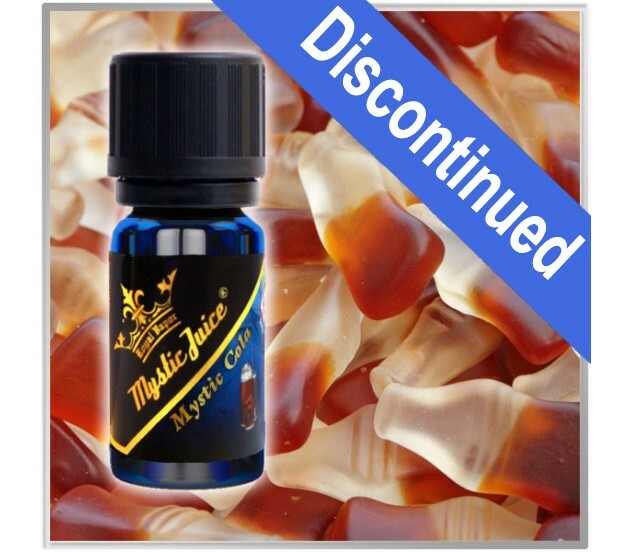 It will remind you of the Cola bottle sweets, except you can't vape calories, so you can have as much as you want! You don't need to buy those silly diet cokes (we all know that they are far worse than the normal), because now you can enjoy the taste of the original Cola without the crazy amounts of sugar!